Play over 500 games in our online casino including slots, blackjack, video poker and roulette all designed for your mobile device. The mobile casino app allows you to conveniently make deposits, check your balance, and manage your account. Play on the go anytime, anywhere with our online casino app as long as you can connect to the internet! 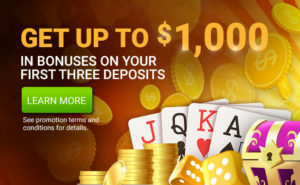 CanPlayCasino.com offers quality customer service, safe, reliable technology, and great bonuses. 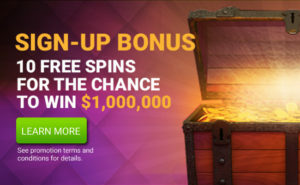 We have a no-deposit bonus sign up bonus, so don’t hesitate, join in on the fun today and win! Now you can enjoy real-money gaming and win anywhere on your mobile device. Our casino app is a registered Canadian online casino where you can gamble and win real money. Download the app on your android or iOS mobile phone and start playing immediately. CanPlayCasino.com brings the excitement of gambling for real money to your iPhone or iPad. You can now download our convenient mobile casino app right to your iPhone or iPad from the iTunes app store. 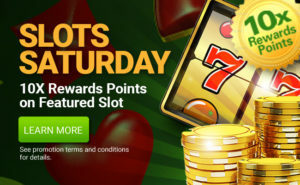 Love gambling for real money from your Android device? CanPlayCasino.com has you covered with an Android casino app so you can play your favourite online casino games on the go. You can now download our casino app right to your Android mobile device or Android tablet by clicking below and downloading from the Android app store. Take spins on your favourite real-money slot machine games and enjoy the thrill of playing for real money from our convenient mobile app. Enjoy popular mobile slot games such as Lucky Vegas Nights, Jackpot Shores, Mega Moola and Cash Mix in our mobile casino right from the palm of your hand. With three different video poker casino games available, you’re sure to find a game you’ll like. Pick from popular titles such as Game King Bonus Poker, Game King Double Bonus Poker, and Game King Double Double Bonus Poker. With CanPlayCasino.com’s online casino app, you’re never far from the excitement of playing your favourite casino table games including BlackJack and Roulette. Download our mobile casino app and if you’re lucky, win real money today! What mobile applications are currently available? Both an iPad, iPhone and Android tablet application are available. The iPad and iPhone tablet application is available in the iTunes store, download iOS app here. The Android application is not available through the Google Play Store, but you can download the Android mobile app here. How do I install the Apple IOS tablet application on my iPad or iPhone? How do I install the Android application on my Android device? There are a few ways to install the Android mobile application on your Android tablet or mobile device. First, you must allow applications from sources other than the Play Store be installed on your device. You do this by going to your Settings, and under your Security or Permissions, check the box that allows applications to be installed from ‘Unknown Sources’. After you have checked this box, you can download the mobile app here. Once the APK (the application) has finished downloading, please install the application by clicking the installed file within your files or notification pull down. How come I don’t see the app in the Google Play Store? Because of Google’s Play Store policy, the CanPlay Casino application is only available as a third-party application, and cannot be downloaded traditionally through the play store. Can you withdraw or deposit money within the Apple IOS or Android mobile applications? Do I need to be on WiFi or can I use my cellular network connection? WiFi should be enabled and you should be in range of a WiFi signal but you do not need to be connected to a WiFi network to play. However, you must be located inside Canada. Being on or close to the Canadian boarder may result in an invalid location and you will not be permitted to play.